KUALA LUMPUR (Sept 21): Malaysia Airports Holdings Bhd (MAHB) has received a notice from Express Rail Link Sdn Bhd (ERL) to wholly indemnify the latter against a RM5.41 million claim by Segi Astana Sdn Bhd. ERL holds the concession to operate the high speed rail line from KL Sentral to the Kuala Lumpur International Airport (KLIA) and the low cost carrier terminal, klia2, in Sepang. Segi Astana, a joint-venture company between WCT Land Sdn Bhd — the wholly-owned unit of WCT Holdings Bhd — and MAHB, is the developer of the gateway @ klia2 shopping mall, which is sandwiched between the drop-off area and KLIA's main terminal. 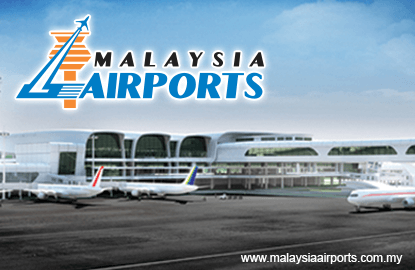 In a bourse filing today, MAHB said it had, together with its wholly-owned subsidiary Malaysia Airports (Sepang) Sdn Bhd (MA Sepang), received the third party notice, dated Sept 9, to indemnify ERL for the said sum. It was also asked to indemnify ERL from further and continuing damages from Sept 9, the date of the notice, "until the date of vacant possession of premises, or until such date as deemed appropriate by court" for all losses and damages in relation to a civil suit. "The company (MAHB) and MA Sepang have instructed their solicitors to represent both the company and MA Sepang in the legal action. Any further updates in respect of any material development will be made from time to time," said MAHB. However, its filing did not detail what the dispute was about, nor which "premises" it was referring to. Nevertheless, it said it was, together with MA Sepang, taking all necessary measures to resist the legal action and was confident in being able to do so. It added ERL's claims were not expected to have a material impact on the earnings and net assets of the company and MA Sepang for the financial year ending Dec 31, 2016. MAHB shares closed 10 sen or 1.51% higher at RM6.74, with a market value of RM11.18 billion.